Last week I jumped on into the Lazy Daisy Sew-along. It has been put together by Daisy who doesn't seem lazy at all! She has put so much effort into the sew-along already! The pattern is easy to follow, great for beginner pattern readers like myself, Daisy is very encouraging and on hand to help. I purchased the pattern from my local Spotty. When I asked for some help in getting my measurements and explained I would be making the skirt via an online sew-along, the Spotlight lady looked at me like I'd swallowed a bobbin (or something sewing related because this is a sew along after all). She offered the name of a local lady in case I was interested in sewing lessons. Oh no I can sew I told her..I'm just not very good at reading patterns. Hehe. Blogging is a funny thing and an online community is a tricky thing to explain to someone who has no idea what you are talking about. Needless to say. I decided not to tell her I was sending happy mail out to strangers friends I haven't met yet. This skirt even has a zip! So if I get a hold on that, there will be something to shout about. 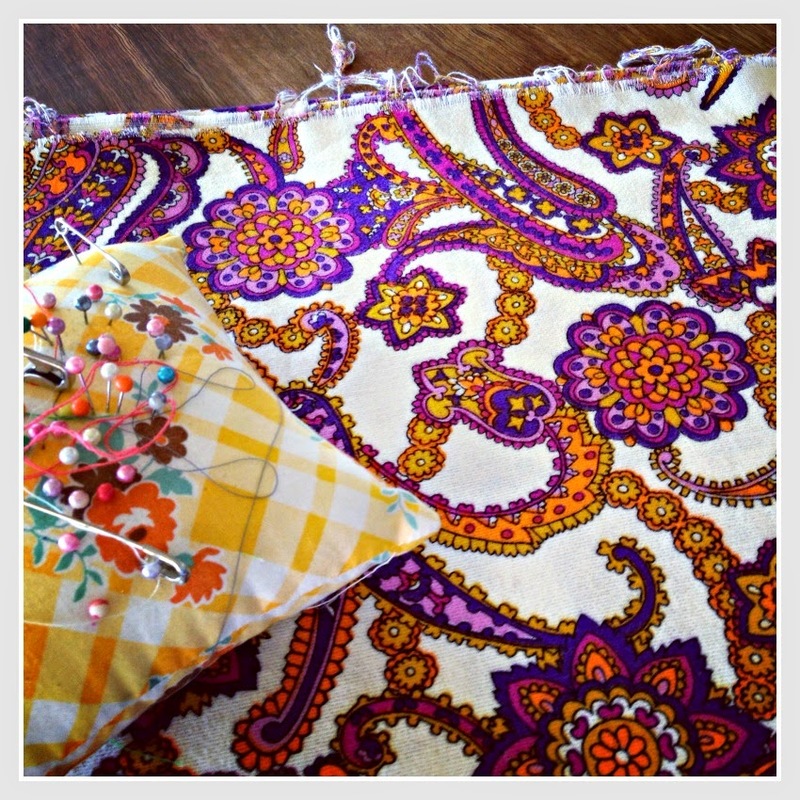 I am using some crazy thrifted fabric for my skirt. I really like this print despite it not being something I would normally wear. It only cost me a couple of dollars so if it works out then I have plans for some lovely brown velvet-also thrifted. It's not to late to join in. That fabric is scrumptious. Can't wait to see your skirt. YAY you! I can't wait to see it. i know you haven't started yet but when are you supposed to have it finished? That fabric is soooo delicious. Good luck with your sewing, especially putting in the zip. Love that fabric, will be watching for updates when you've completed it. I love on-line communities, everyone seems so willing to help one another. I once got involved in an international fabric exchange (5" squares for a charm quilt). Very soon my mailbox began overflowing with small packets from every point on the globe. The Postie asked my daughter "Your Mum isn't a drug dealer, by any chance?". Gorgeous fabric!! How did the skirt go?